John McPhilliamy is a partner in the Albertson office. While practicing dentistry full time, he attended the evening program at St. John's University School of Law. In 1991, he began to practice law on a full-time basis while still maintaining a small private dental practice. He has lectured to and made presentations to not only local and international Dental Societies, but also to professional liability carriers and dental school students and residents. In addition to handling civil claims involving dental malpractice, he has also represented professionals before the New York Office of Professional Discipline, Human Rights Commission Justice Center and OASAS. 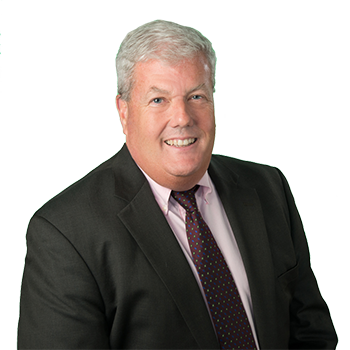 In addition, Dr. McPhilliamy handles claims involving medical malpractice, pharmacy malpractice, allied health and long-term care facility malpractice. Lectured to dentists at Risk Management Seminar for CNA Insurance Company and The Home Insurance Company. Lectured at Columbia University School of Dentistry and Montefiore Medical Center to dental residents on Dental Jurisprudence and Risk Management. Lectured on Dental Trauma to Claims Specialists at Traveler's Insurance Company and Mercury Insurance Company. "Lunch and learn" seminars to various entities on dental issues and claims. Lectured to claim specialists at Intercare Insurance Services and AIG Insurance Company.